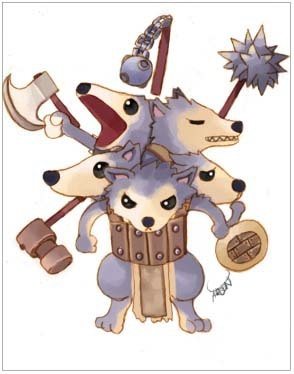 The fourth brother in the Kobold group, it will attack with its brothers. Its weapon is an axe. It looks cute and well-behaved, but it's daunting in battle. Because it is not big, it can't deal great damage when it is alone. But once they're united, Their destructive power is extremely terrifying.